We had another amazing year at the Westridge Community Center. 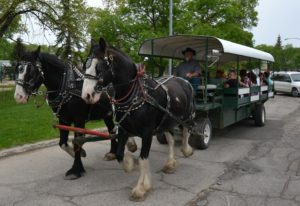 On Sunday June 9th we held our 5th Annual Summer Carnival. Each year we have seen more and more people come out to the event, and this year was no different. In fact, we were shocked by the incredible turnout! There were tons of people there right from the moment we started till the moment the party ended. 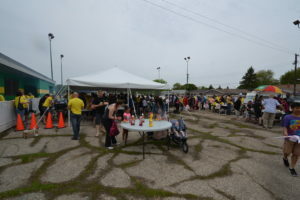 We had around 1,200 people out to the event, which is almost double the amount of people who came from the community last year. It was amazing to watch as over 100 volunteers spend the two-and-a-half hours serving everyone who attended. What I found most interesting is how people responded to the weather. 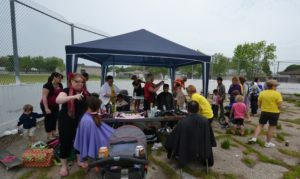 Even though the weather held off for the most part, there were some small patches of rain throughout the event. When it did start to rain, I expected to see people run for cover, but no one moved – they just continued to do whatever they were doing. Obviously everyone was having a great time!